An IT professional's job is to design, test, deploy, and manage clients and servers throughout the organization. In order to best offer technical solutions, it's helpful to treat systems administration as a continuous process of discovery, adaptation, and maintenance. The life cycle for systems management involves evaluating current systems, modifying requirements, testing, deploying new systems, and managing the systems. It can include tasks such as help desk management, asset managements, patches and upgrades, imaging, license management, software distribution, usage management, and data management. 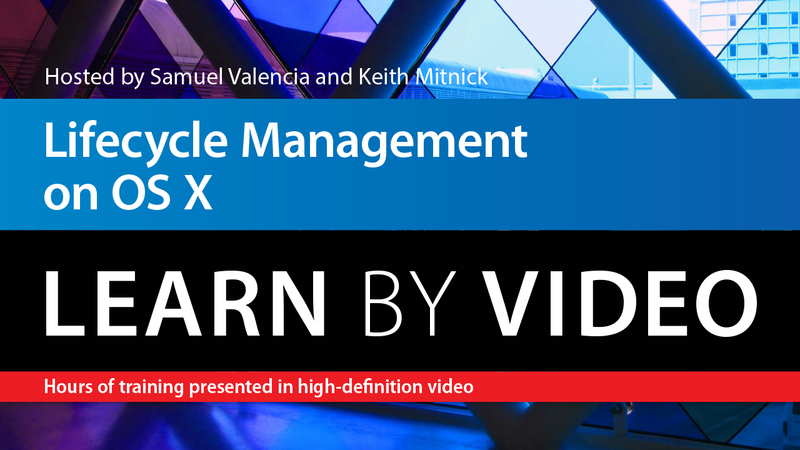 This video will offer a close look at all the levels of this systems management life cycle. Some of the topics that will be covered include installing and configuring lifecycle management tools such as Munki, AutoPkgr, AutoPkg, and MunkiAdmin. installing and managing the software on the client device, and working with the Adobe Creative Cloud Packager.